Deaths highlight the enduring problem of shoddily-built and hazardous accommodation that China’s low-paid workers are forced to live in. Around eight o’clock in the morning of 16 November, students at a kindergarten in the small provincial town of Minhe in Jiangxi began arriving for class as usual. After waiting for about half an hour for the five interns assigned to the kindergarten to report to work, a member of staff went to the tiny apartment rented by the school and was confronted by a strong smell of gas. All five interns were lying dead on the floor or on their beds. The county government issued an official report later that day stating that the five young women had died from carbon monoxide poisoning probably from a faulty water heater. The only window in the 13 square metre room shared by the interns was sealed shut. The room itself was reportedly a converted garage. The Fenghe Mingcheng Kindergarten play area. Photo: Red Star News 红星新闻. The local Red Star News reported that the interns lived of 12-yuan rice and noodle dishes every day from the fast food restaurant downstairs and spent their free time playing on their phones. This tragedy highlights once again the appalling and often dangerous living conditions that millions of low-paid workers still have no choice but to endure four decades after the start of China’s reform and opening policy. The interns from the Jiangxi Metallurgical Industry College were probably around the same age as the 87 young women who died 25 years ago on Monday in the infamous Zhili toy factory fire in Shenzhen in 1993. In that incident too, many dormitory windows were sealed and the workers suffocated to death. Today, instead of working in factories thousands of kilometres away, there are more opportunities for young men and women in service industries closer to home. But the accommodation provided by their employer or available for rent privately hasn’t improved much in the last decades. A report published this month by Professor Pun Ngai at the University of Hong Kong illustrates how employers and landlords arrange for large groups of migrant workers to live in cramped, sub-divided apartments in shanty towns. Workers who choose to rent privately usually cannot afford anything much better. Because group rental housing is constructed cheaply inside housing structures that were not originally designed to serve such a dense population, electrical services and fire escape facilities are insufficient, resulting in safety hazards. Almost exactly one year ago, on 18 November 2017, a devastating dormitory fire in the Xinjian shanty town in south Beijing killed 19 migrant workers and their families. Like the interns in Jiangxi, these workers were crammed into tiny subdivided rooms, about ten square meters each, and the windows were covered in wire mesh, preventing escape when the fire started from a commercial facility in the basement. But this appalling tragedy did not lead to calls to improve housing for low-paid migrant workers, instead it led to the forced eviction of tens of thousands of people from their homes by the Beijing city government in a campaign officially aimed at fire safety but which in reality was an excuse to demolish vast tracts of low-end housing for sale to major developers. The site of the deadly fire in Beijing’s Xinjian village has now been completely razed to the ground and billboards advertise a “shantytown redevelopment project,” which features idealised images of business and residential units set in parkland. However, the few migrant worker residents who stayed behind will not be moving into these new apartments. “We will never be able to afford those flats they’re building. They’ll be 20,000-30,000 yuan per square metre. They’ll all be bought by outsiders,” the owner of a small noodle shop nearby told the South China Morning Post. Most residents have already left the area and many have gone back to their hometowns or smaller more affordable cities. But even there they will probably still have to risk their lives in cramped, shoddily-built apartments such as the one used by the kindergarten teachers who died in Minhe. 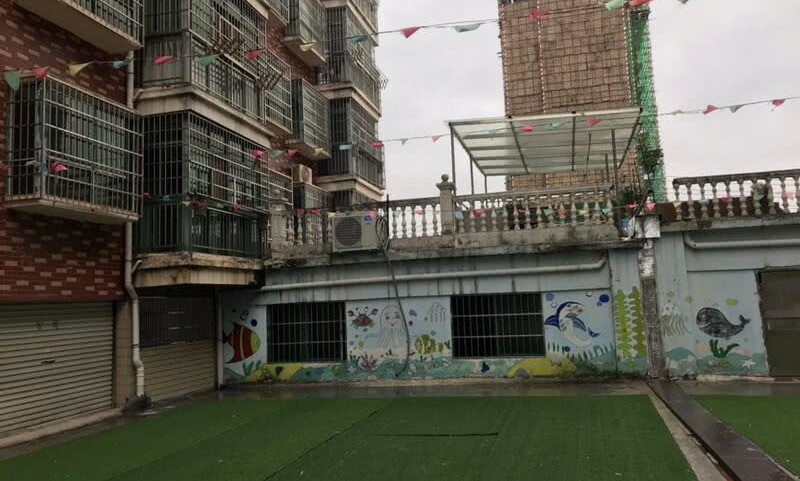 The University of Hong Kong report calls on the authorities to establish a national housing program that would guarantee safe and affordable housing for migrant workers, and for municipal governments to make new public housing available to the low-income migrant workers who really need it and not just the high-end migrants they want to attract. The report also recommends that any redevelopment of urban villages should ensure that the people who currently live there can afford to stay living there. The full Chinese language report is available here.